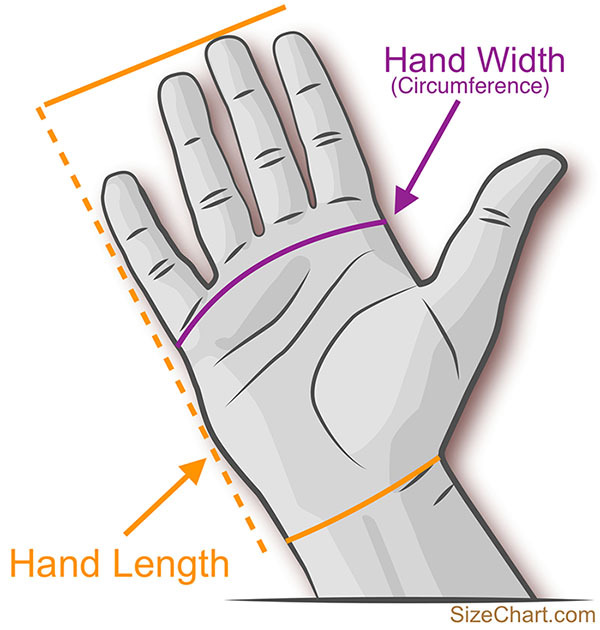 Measure your hand size, both hand length and hand width. See illustration below. Measure hand length from where the hand starts to the longest fingertip. Hand width is the hand circumference, just over the knuckles. Measure both hands, and use the largest measurements (dominant hand is often larger). See also Women's US Glove Size Chart.